Keep your projects safe and collaborate with others using Visual Studio Online. Visual Studio provides full support for project source control, in the same way that Xcode uses Subversion or Git. Storing your code in an online code repository keeps it safe from local accidents, and also lets you collaborate with other developers. The simplest way to get started is to go to Visual Studio Online (previously known as Team Foundation Server), sign up for a free account and follow the tutorials. The free basic account will allow you to work with up to five people on an unlimited number of projects, track bugs and more. 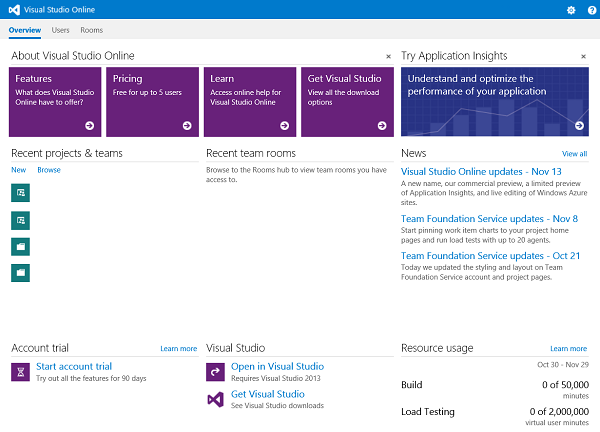 Visual Studio Online will manage your Windows 8.1, Windows Phone 8.1 and Universal Windows apps. If you are converting an existing single-project solution to universal, you will need to manually add the new project to the solution's source control: from within Visual Studio, go to File > Source Control > Advanced and add the new project. Visual Studio Online is ideal if you are working in a team, or simply want to keep your projects safe (and benefit from version control, bug tracking, task management and so on) and makes them easily accessible from multiple computers. It's also possible to use Visual Studio Online to store your Xcode projects, by taking advantage of Xcode's built-in support for Git. You can use tools such as Jenkins to automate the build process for your iOS projects. If you are working on a cross-platform project, this workflow can greatly simplify how your team stores and builds apps.